I was lately reading the Holy Text of the Saddharma Pundarika (the Aphorisms of the White Lotus of the Wonderful or True Law) in a Sanskrit mancuscript under a Bodhi-tree near Mrga-Dava (Saranath), Benares. Here our Blessed Lord Buddha Shakya - Muni taught His Holy Dharma just after the accomplishment of His Buddhahood at Buddhagaya. 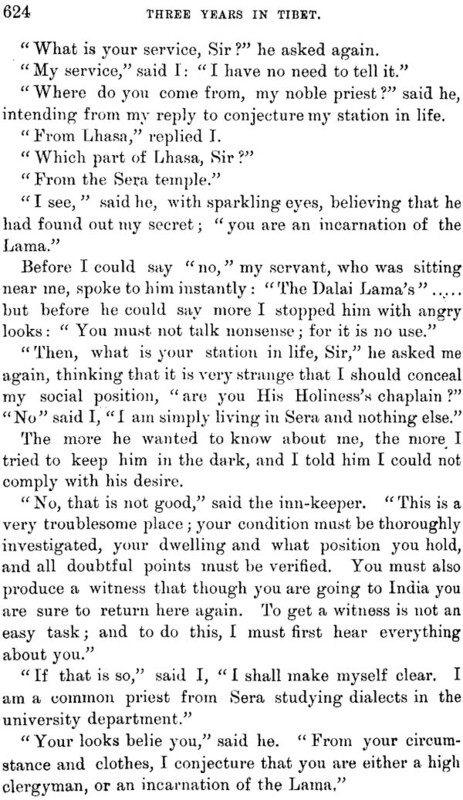 Whilst doing so, I was reminded of the time, eighteen years ago, when I had read the same text in Chinese at a great Monastery named Ohbakusang at Kyoto in Japan, a reading which determined me to undertake a visit to Tibet. 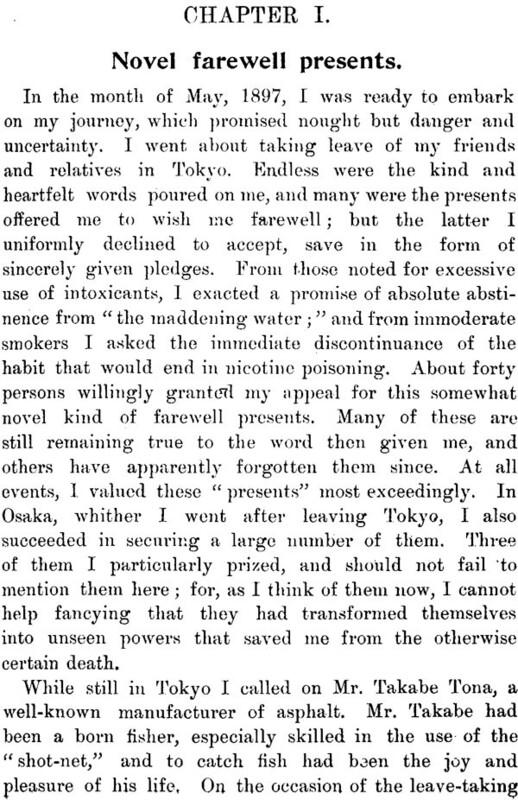 It was in March, 1891, that I gave up the Rectorship of the Monastery of Gohyakurakan in Tokyo, and left for Kyoto, where I remained living as a hermit for about three years, totally absorbed in the study of a large collection of Buddhist books in the Chinese language. My object in doing so was to fulfil a long-felt desire to translate the texts into Japanese in an easy style from the difficult and unintelligible Chinese. 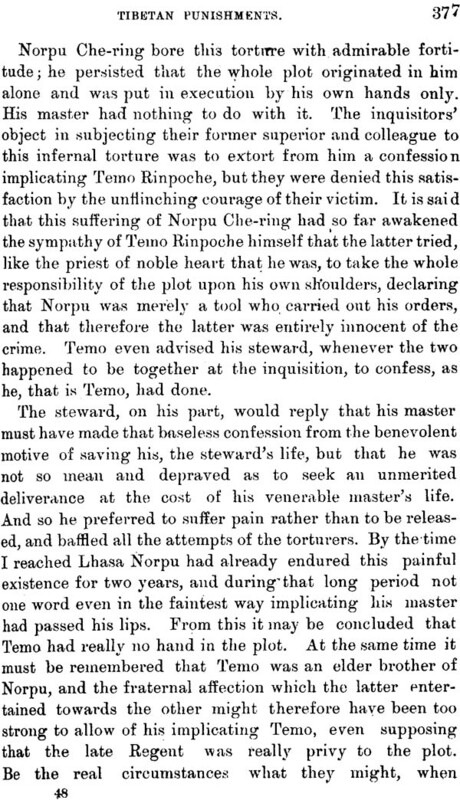 But I afterwards found that it was not a wise thing to rely upon the Chinese texts alone, without comparing them with Tibetan translations as well as with the original Samskrt texts which are contained in Mahayana Buddhism. 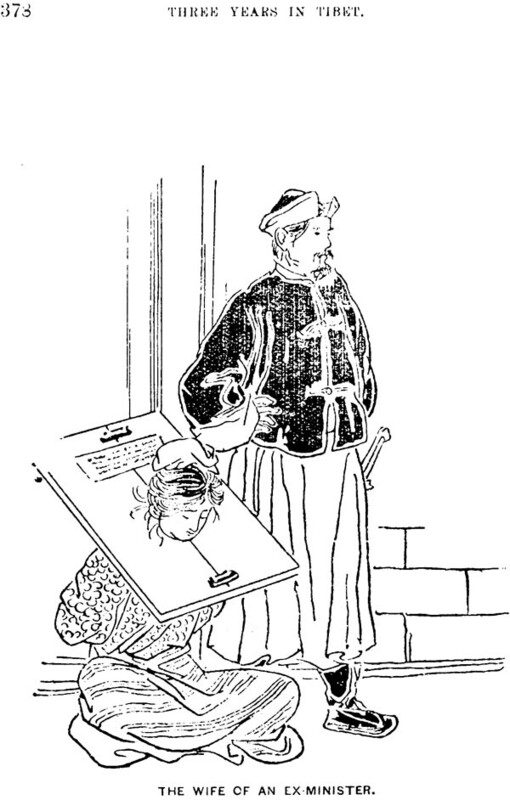 The Buddhist Samskrt texts were to be found in Tibet and Nepal. Of course, many of them had been discovered by European Orientalists in Nepal and a few in other parts of India and Japan. But those texts had not yet been found which included the most important manuscripts of which Buddhist scholars were in great want. 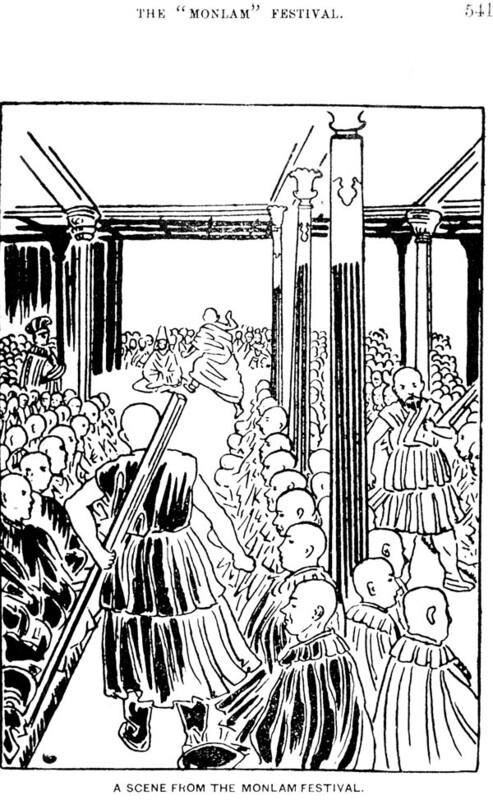 Then again, the Tibetan texts were famous for being more accurate translations than the Chinese. Now I don not say that the Tibetan translations are superior to the Chinese. As literal translations, I think that they are superior; but, for their general meaning, the Chinese are far better than the Tibetan. Anyhow, it was my idea that I should study the Tibetan language and Tibetan Buddhism, and should try to discover Samskrt manuscripts in Tibet, if any were there available. With these objects in view, I made up my mind to go to Tibet, though the country was closed not only by the surrounding lofty mountains. 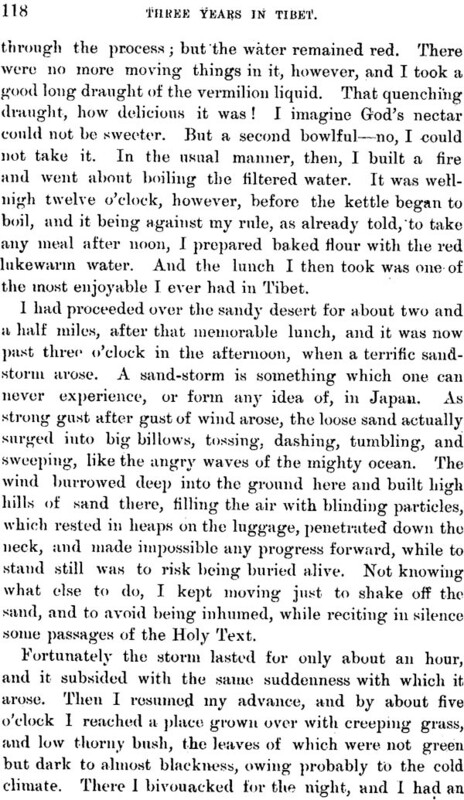 After making my preparations for some time, I left Japan for Tibet in June, 1897, and returned to my country in May, 1903. 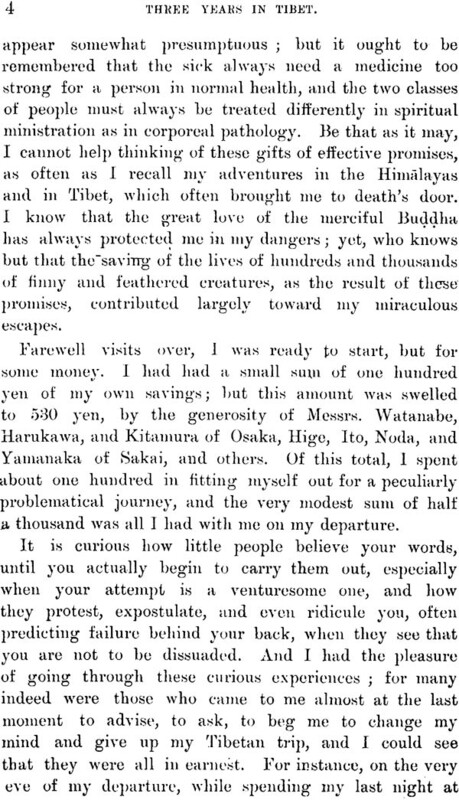 Then in October, 1904, I again left Japan for India and Nepal, with the object of studying Samskrt, hoping, if possible, again to penetrate into Tibet, in search of more manuscripts. 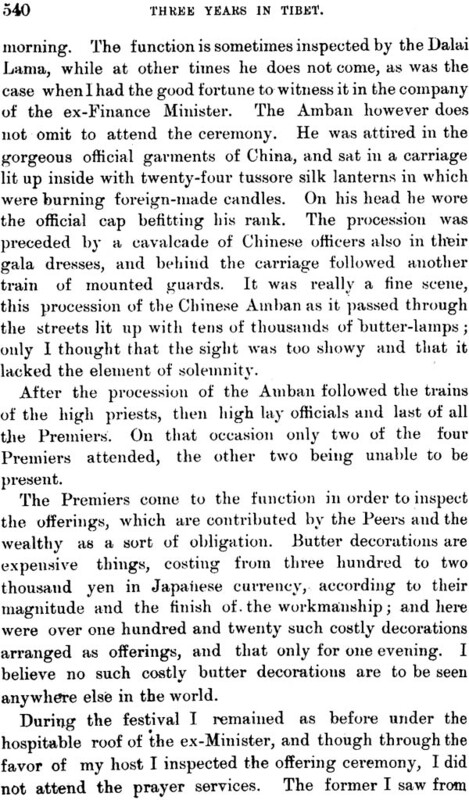 On my return to Japan, my countrymen received me with great enthusiasm, as the first explorer of Tibet from Japan. The Jiji, a daily newspaper in Tokyo, the most well-known, influential and widely read paper in Japan, and also a famous paper in Osaka, called the Maimichi, published my articles every day during 156 issues. 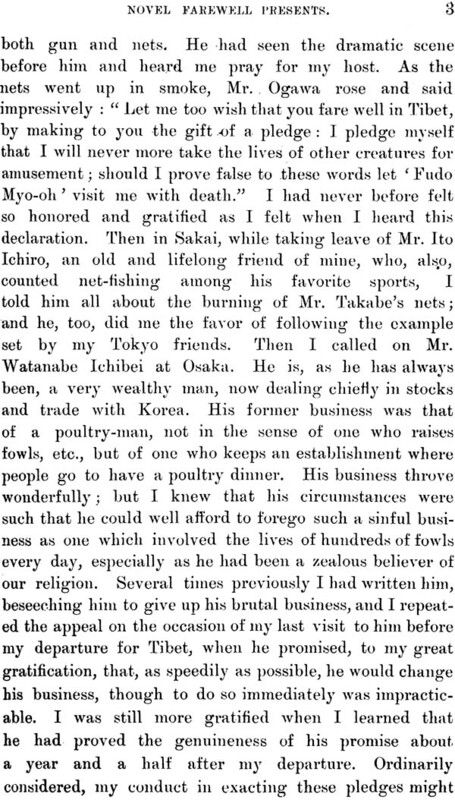 After this, I collected all these articles and gave them for publication in two volumes to Hakubunkwan, a famous publisher in Tokyo. Afterwards some well-known gentlemen in Japan, Mr. Eiji Asabuki, proposed to me to get them translated into English. They also helped me substantially in this translation, and I take this opportunity of expressing my grateful thanks to them for the favor thus conferred upon me. 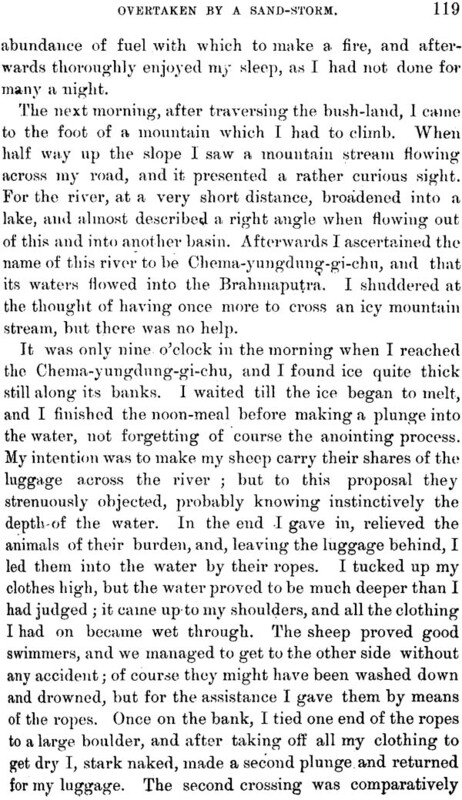 When my translation was finished , the British expedition to tibet had been successful, and reports regarding it were soon afterwards published. I therefore stopped the publication of my English translation, for I thought that my book would not be of any use to the English-reading public. 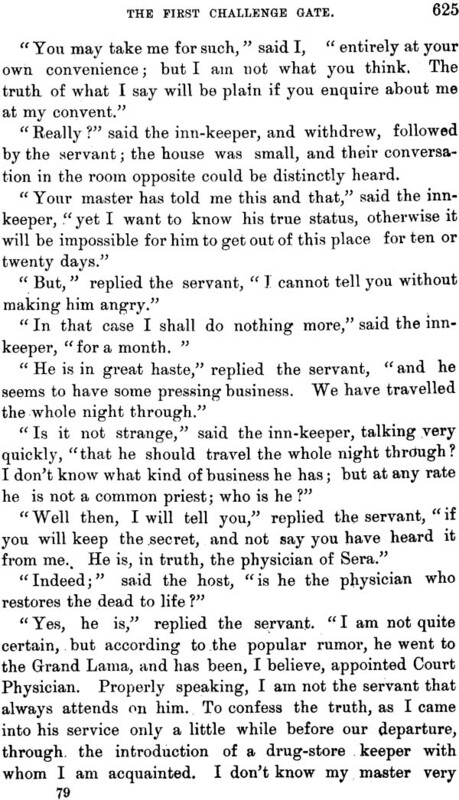 Recently, the President of the Theosophical Society, my esteemed friend Mrs. Annie Besant, asked me to show her the translation. On reading it she advised me to publish it quickly. 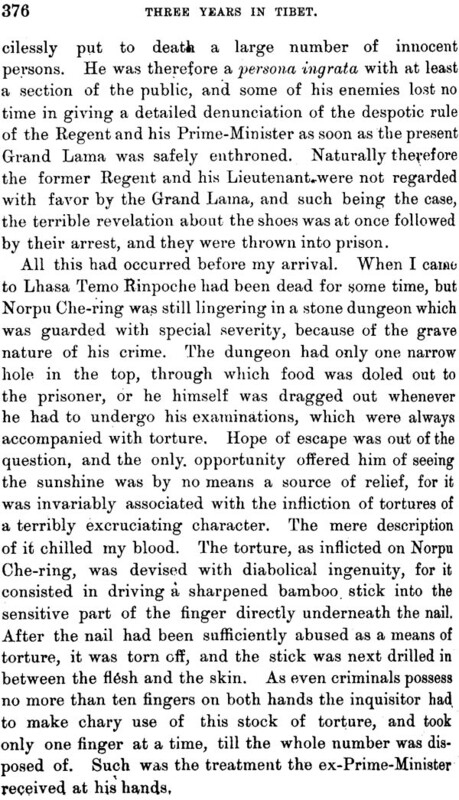 I then told her that it would be useless for me to publish such a book, as there were already Government reports of the Tibetan 3expedition, and as Dr. Sven Hedin of Sweden would soon publish an excellent book of his travels in Tibet. But she was of opinion that such books would treat of the country from a western point of view, whilst my bcok would prove interesting to the reader from the point of view of an Asiatic, intimately life of the p0eople. 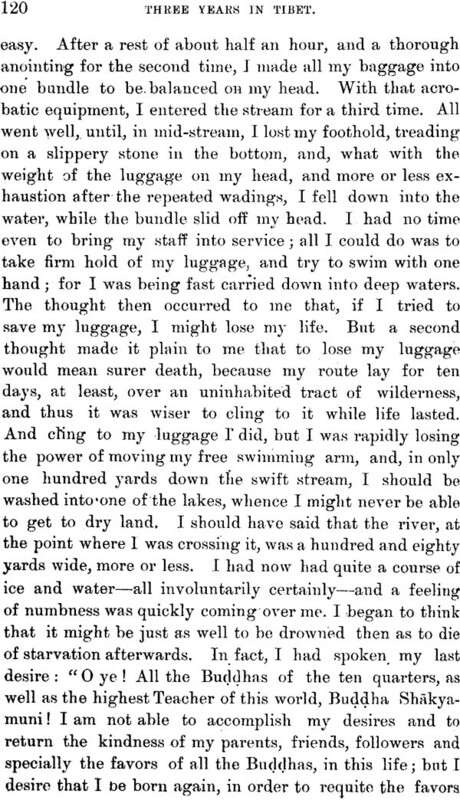 She also pointed out to me that the book would prove attractive to the general reader for its stirring incidents and adventures, and the dangers I had had to pass through during my travels. 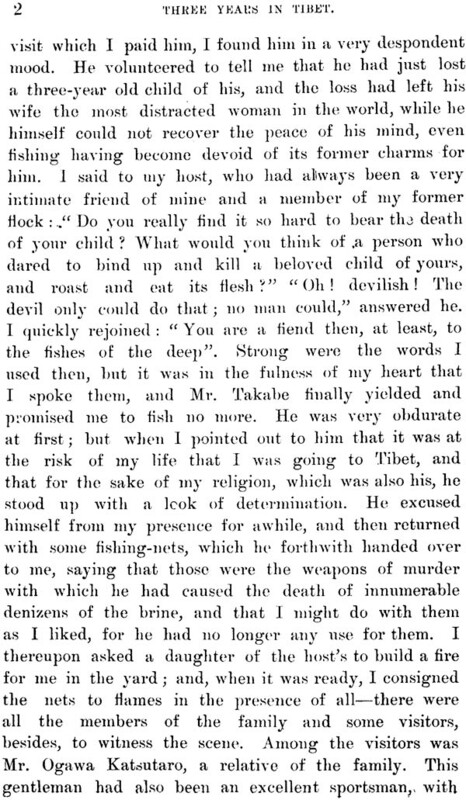 Thus then I lay this book before the English-knowing public. 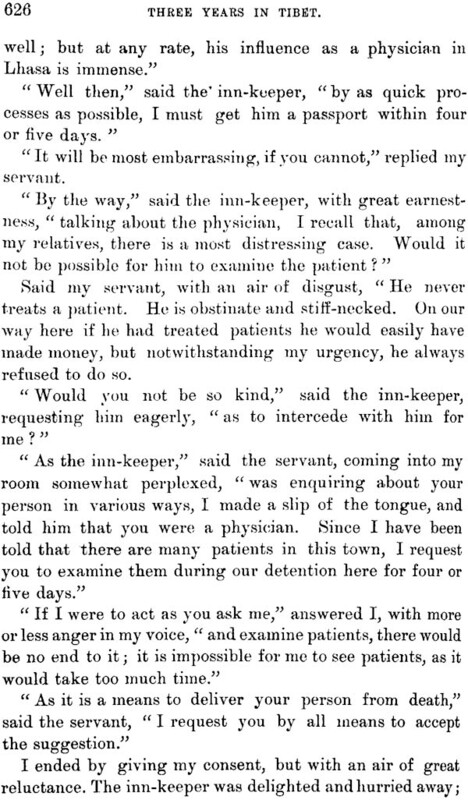 I take this opportunity of expressing my grateful thanks to Mrs. Besant for her continued kindness to me in looking over the translation, and for rendering me help in the publication, Were it not for her, this book would not have seen the light of day. Here also I must not fail to express my sincere thanks to my intimate friend Professor Jamshedji N. Unwalla, M.A., of the Central Hindu College, Benares; for he composed all the verses of the book from my free English prose translation, and looked over all the proof-sheets carefully with me with heartiest kindness. I must equally thank those people who helped me in my travels in a substantial manner, as well as those who rendered me useful assistance in my studies; nay, even those who threw obstacles in my way, for they, after all, unconsciously rewarded me with the gift of the power to accomplish the objects I had in view, by surmounting all the difficulties I had to go through during my travels. 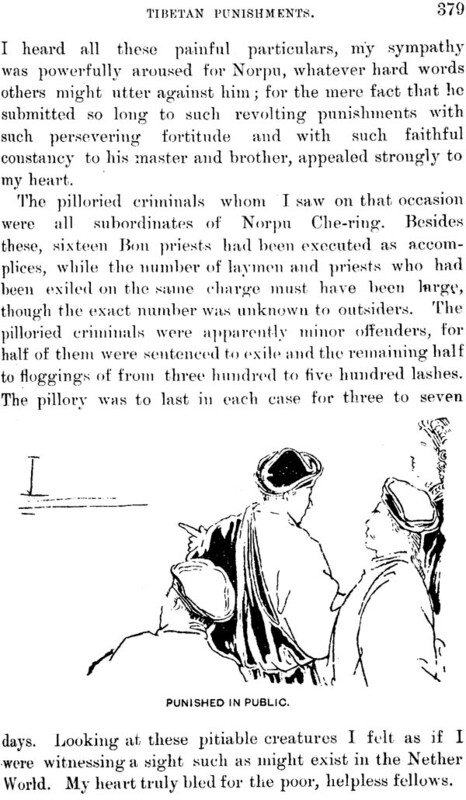 With reference to this publication, whilst reading the Aphorisms of the White Lotus opf the Wonderful Law this day, I cannot but feel extremely sorry in my heart when I am reminded of those people who suffered a great deal for my sake, some being even imprisoned for their connexion with me when I was in Tibet. But on the other hand, it is really gratifying to me, as well as to them, to know that, after all, their sufferings for my sake will be amply compensated by the good karma they have certainly acquired for themselves through their acts of charity and benevolence, that have enabled me to read and carefully study with greater knowledge, accuracy and enthusiasm, the most sacred texts of our Holy Religion, than was possible for me before my travels in Tibet. I assert this with implicit faith in the fact that good deeds, according to the Sacred Canon, have indubitably the power to purify rests with the Glorious Lotus of the Awe-inspiring Law, suffusing all with its brilliant effulgence; and with sweet odor, itself, amidst its muddy surroundings, remaining for ever stainless and unsullied. 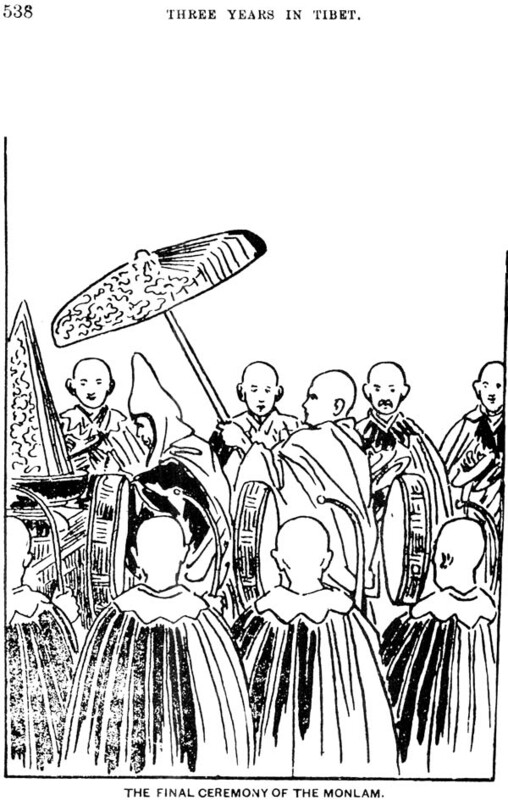 In his quest to study Tibetan Buddhism and language, the Japanese Buddhist monk Kawaguchi travelled in disguise through large parts of Tibet. This expedition was made much ahead of the famous travels of Sven Hedin and other Westerners, whose main aim was more of an explorer-traveller. In contrast, Kawaguchi was motivated by scholastic aspirations of a researcher looking for the holy texts, Sanskrit Manuscripts and life in monasteries. 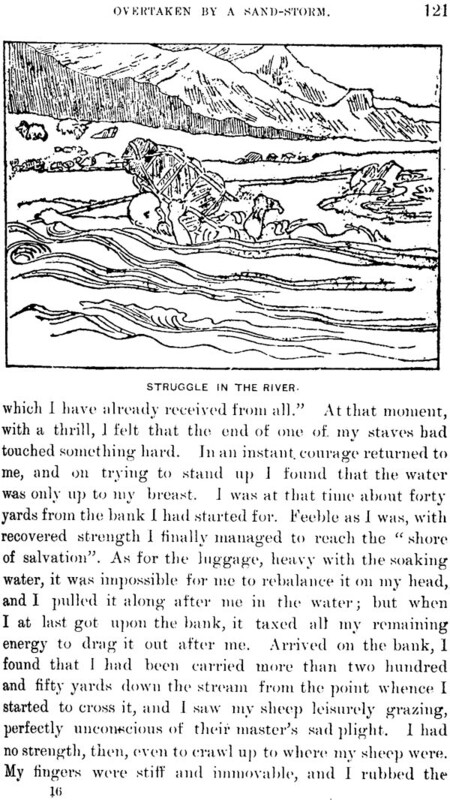 The Exciting records of his travels are much different from the writings of the Western travellers. 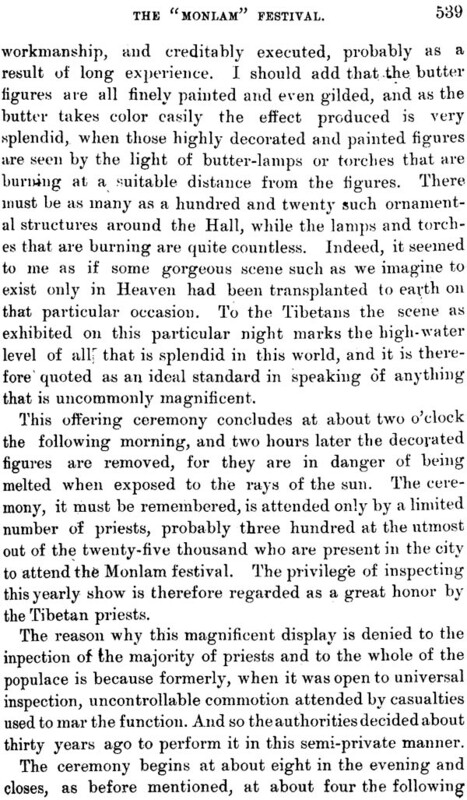 They describe Tibetan land from the point of view of an Asiatic intimately acquainted with the manners, customs and life of its inhabitants. 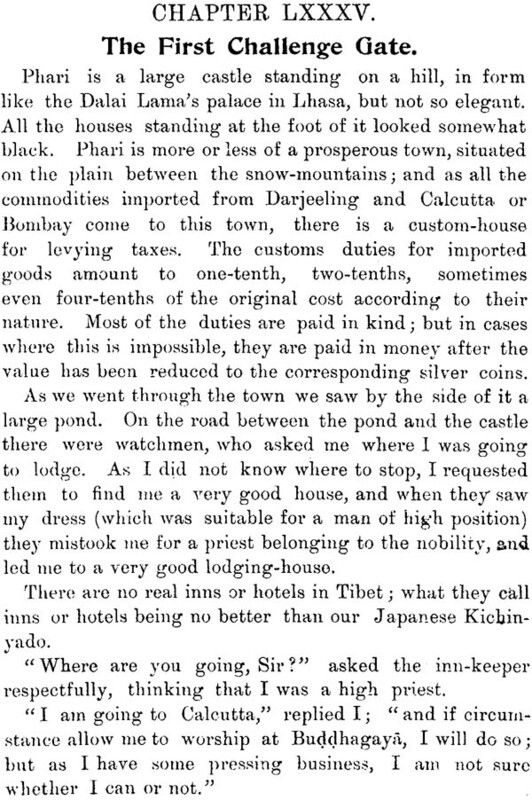 Here is a spell-binding account of two thousand four hundred and ninety miles covered over a period of three years, shedding light on little known aspects of the world of snow, rivers and sand-storms as well as Tibetan Mandalas, monasteries, metropolis, bodhisattavas, polity, medicine, trade, currency, soldiery, amusements and festivals etc.